I’ve caught a lot of lucky breaks (or unmerited graces) in my life. For instance, I had two superb editors at Henry Holt, which in 2003 published Dispatches from the Muckdog Gazette, and both have gone on to write books that will endure. 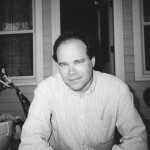 Tom Bissell (a native of Escanaba in Michigan’s Upper Peninsula) acquired my manuscript; his works include the brilliantly idiosyncratic travelogues Chasing the Sea: Lost Among the Ghosts of Empire in Central Asia and The Father of All Things: A Marine, His Son, and the Legacy of Vietnam. When Tom left Henry Holt, Muckdog Gazette was handed off to George Hodgman, a native of Paris, Missouri. Despite his lack of interest in the arcana of 19th-century Anti-Masonry, George was an editorial master of concision and concinnity. He also gave the book its title. I was calling it Fortunate Son, ripping off CCR’s best song, but nobody likes a copycat. The book, which is shooting up the best-seller lists–who says talent is never rewarded at the box office?–is being acclaimed as a beautifully told story of a gay son and his mother, but it is more than that: Bettyville is about the pull of home, the mysteries of kinship, the complicated joys of repatriation. It is not so much about coming out as it is about coming home. Betty Hodgman is a tart, frank, unsentimental church organist, a prayerful friend to those who need one. She has in her senescence grown brittle and needy herself, resisting mightily her creeping dementia, fearful that her 50ish son, her only child, will abandon her. He won’t. George is a great storyteller but this book is also about stories not told, specifically his drug abuse and his homosexuality, the latter of which occupies the spaces between the words in his family. It’s not like the tea leaves weren’t readable: as a boy George enjoyed As the World Turns, read Ladies’ Home Journal, and once convinced his father to ditch a fishing outing and let him watch Funny Girl. George’s love and understanding of his little hometown and its cast of flesh-and-blood characters illuminate every page of this book. He seems to have repatriated, at least seasonally, and why not, for how you gonna keep ’em down in the city once they’ve (re)seen Paris? What book on the arcana of 19th-century Anti-Masonry are we talking about? If your book is about a place in upstate New York that might be the right place, but that’s not a subject of your book, is it? My hometown is the birthplace of the Jacksonian era Anti-Masonic movement.